Chimney repairs are an important part of owning and maintaining a safe and working fireplace. The most common chimney repairs performed include replacing or repairing the chimney cap and/or crown, relining the chimney, and fixing chimney masonry. The outer masonry – which includes the brick and mortar joints holding it together. The inner lining that keeps smoke and creosote contained, funneling fumes up and out of your home. The cap and crown, which prevent debris, animals, and other things from ending up inside of your chimney and causing blockages. All of these parts must be in good working order for the chimney to function as intended. Hence, why the three chimney repairs we are about to discuss are among the most common. The brick and mortar that make up the outside of your chimney play an integral role to protecting your home and family. Over time, mortar will begin to break down due to exposure to moisture and the elements. 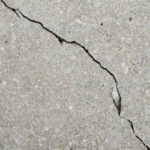 If mortar becomes soft and begins to flake out of the wall, this places a lot of pressure on bricks and eventually leads to spalling, or bricks falling out of place. The best time to repair chimney masonry is when mortar issues first surface using a process called tuckpointing. 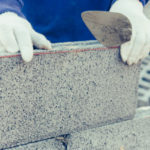 This involves removing damaged portions of mortar and replacing it with a well-matched (in color and strength) mortar. This process will make your chimney look like new, while restoring its original strength. If damage has extended to bricks, there are still repairs that can address the issue without needing to replace the entire structure. 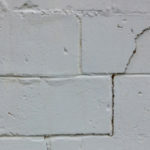 Bricks can be replaced or turned around so that the backside of the brick faces forward, and the damaged side faces the interior of the structure where no one can see it. A chimney flue or liner is tasked with containing gases, heat, and creosote produced by your fireplace. Looking at the inner lining of your chimney can reveal hidden dangers that increase the risk of a chimney fire or carbon monoxide poisoning if left untreated. There are different types of flue liners, and therefore, there are different issues that can arise with each one. Steel liners tend to be the most durable, while other types of flues are more susceptible to heat and stress. Most commonly, the flue either deteriorates, cracks, or spalls. It’s highly recommended to have your chimney inspected once a year, prior to winter, to ensure it is in proper working order before it enters heavy-usage season. Avoid using a chimney with a cracked or damaged flue. Even small cracks can allow heat into combustible portions of your home, leading to a chimney fire. The chimney cap and crown, located at the very top of your chimney, serve as the first line of defense against the elements. It keeps water from pouring in, animals from nesting at the peak of your chimney, and infiltration of other types of debris that could clog a chimney. 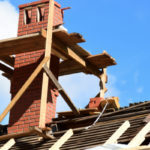 If either of these fundamental parts are damaged, your chimney is at risk of moisture damage, blockages, and countless other issues that can domino into additional problems and necessary repairs. It’s easy to replace or repair a damaged cap or crown. Have your chimney inspected on a regular basis to prevent a small issue from ballooning into something larger. 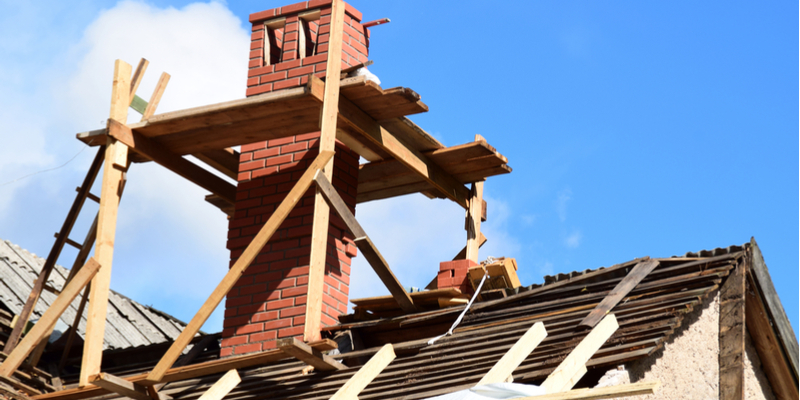 At Turnbull Masonry, we specialize in chimney repairs and rebuilds. Count on us to keep your chimney working as safely and efficiently as possible.